Council Matters graduate Ted Leddy returns as Deputy Mayor! More than 50% of guests who appeared on CouncilMatters during €lections2014 went on to be successfully ellected to one of the four Dublin councils. 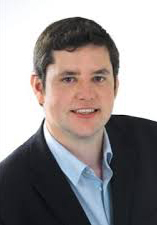 The success rate in the Castleknock ward was 75% and prominent among our graduates was Fine Gael candidate, Ted Leddy. The newly elected councillor, went on to top that by being selected as Deputy Mayor at the inaugural of the new council. Fresh from his triumph representing Fingal at 2014 Dublin Pride, Ted is welcomed back to CouncilMatters, where his media campaign kicked off in January 2014. Offering a glimpse of the emerging generation in Irish politics, Ted joins a very colourfully attired (in Mambo) Mick FitzGerald where they talk,,,,elections, issues, directly elected mayors and property taxes. This entry was posted in Ted in the Media by admin. Bookmark the permalink.